Includes (2) Refined Bronze Basilica Inserts (L&R set), and 3M furniture grade tape, installed on back for easy installation. Inserts packaged separately. 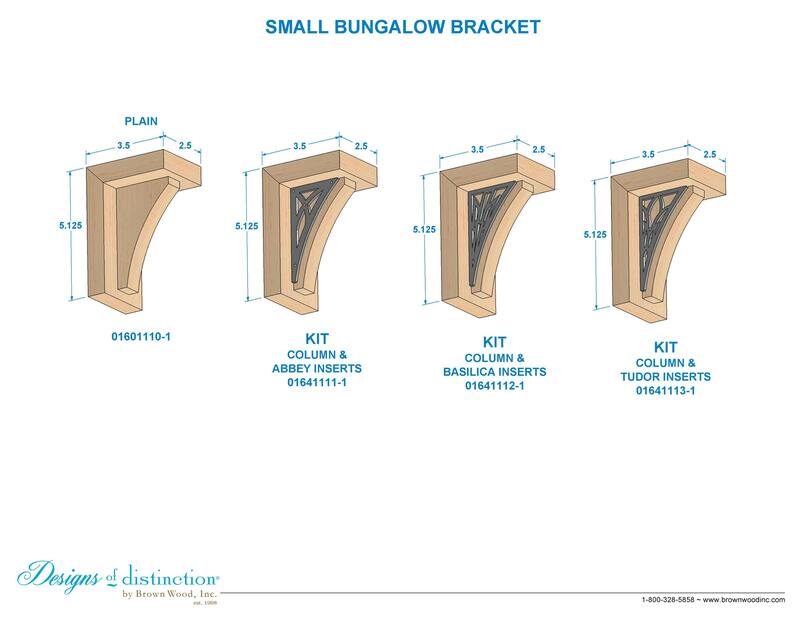 Add a bit of charm by accessorizing the Small Bungalow Bracket with our Basilica inserts. The 1/8″ laser-cut Masonite Basilica inserts come in 3 finishes including: refined bronze, satin nickel, and wrought iron. The Small Bungalow Bracket w/Basilica Inserts belongs to our Art Deco and Basilica Inserts Collection. Shop more of this look in the Basilica Inserts Collection. Metal keyhole brackets installed in back for easy installation.